Following the recent bombarding of social media with campaigns & materials related to/off the”Unrestrained” album, ranging from the release of the infectious victory praise single – ‘He’s Alive‘, dished out to mark the anointed music minister’s birthday celebration, down to the H.S Ideas directed energetic visual interpretation of the same single. 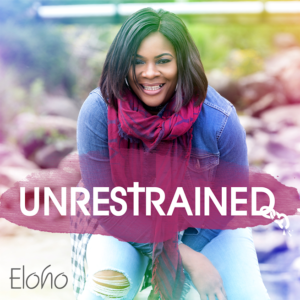 One thing is certain – The Nigerian-UK Gospel music minister, songwriter,WAOMM member and Engage convener, Eloho is on a roll, blessing, impacting and making God’s praise louder, one song, one idea, one video all at a time. Other tracks on the album like ‘Once Again’, ‘The Name of Jesus’, ‘He’ll Do It Again’, ‘Worship Medley’ and‘Praise Jam’ feature Gospel music heavyweights like Isabella, Gracey, Anna Barton, Sunkey andFLOROCKA. In perfect harmony, they add a very unique flavor to the album, something pleasing to your tastefor good music. In very many ways, this album is uniquely different from her debut album ‘Arise’ which made its own impact.Songs on the ‘Unrestrained‘ album are full of life, ecstatic, full of hope and a good blend of modern day style of writing and vibrancy, clearly ministering to the heart of anyone who has lost hope, focus, or direction in life or ministry and breeding a new life into their worship. Check out her second single ‘He’s Alive’, off Eloho’s sophomore album ‘Unrestrained’. Produced by Florocka this song reminds us of the victory that we have in Jesus, the freedom that we possess to be; and do who God has called us to be. ‘For everyone that has felt like a failure, a misfit, felt out of place, condemned, restrained, rejected, He’s Alive is your song of victory. Rejoice in the victory wherewith Christ has set you free! There is therefore n condemnation because we are in Christ Jesus. Get your dancing shoes on, He’s Alive is a song of celebration.